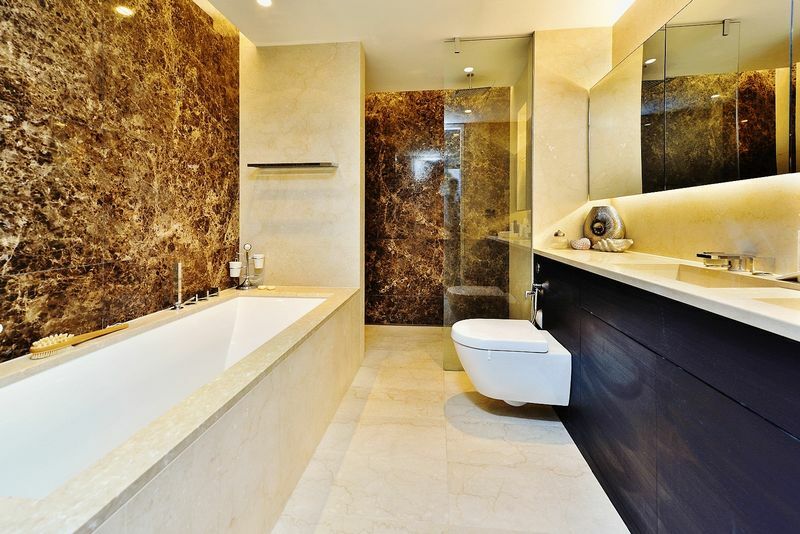 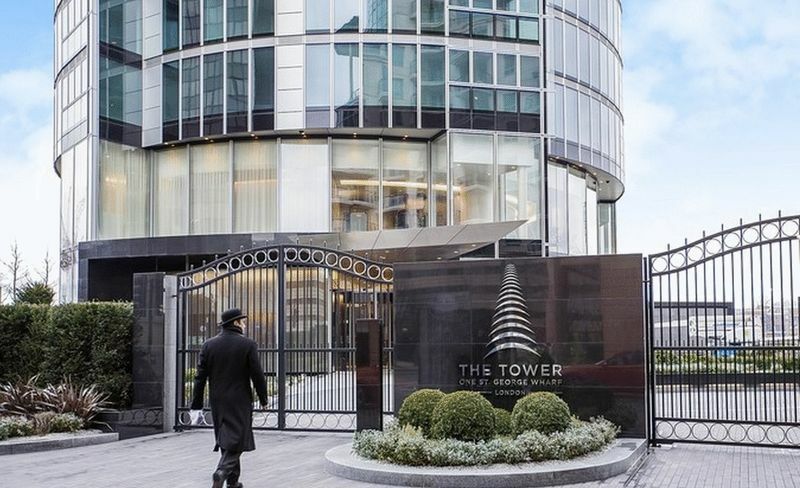 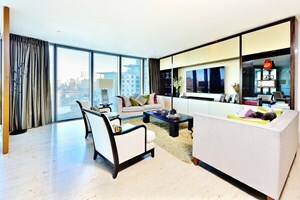 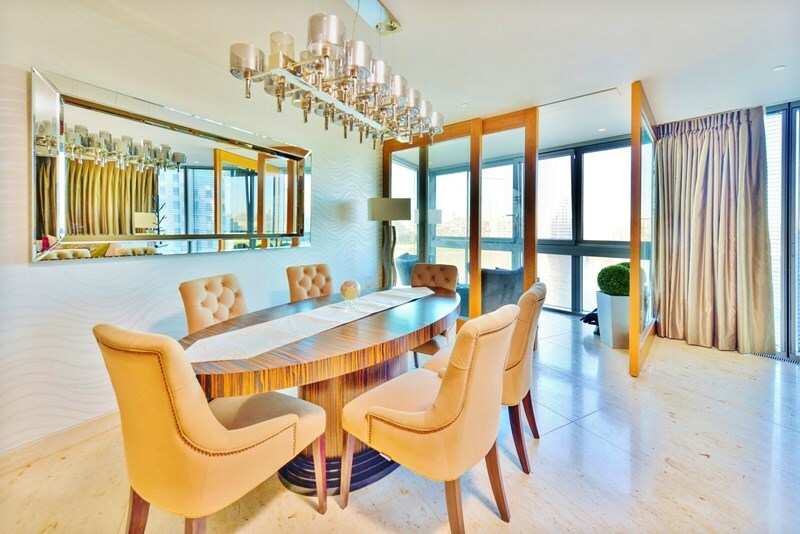 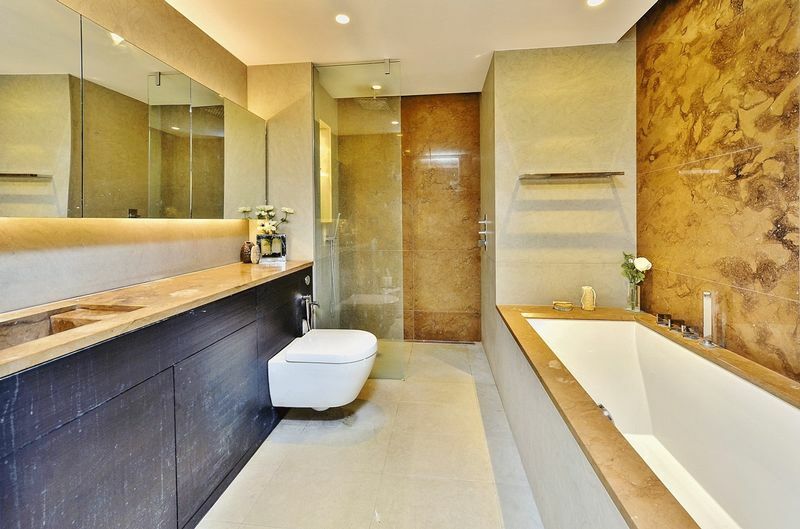 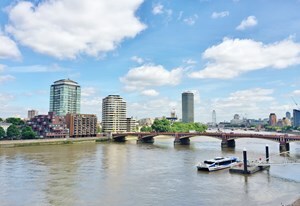 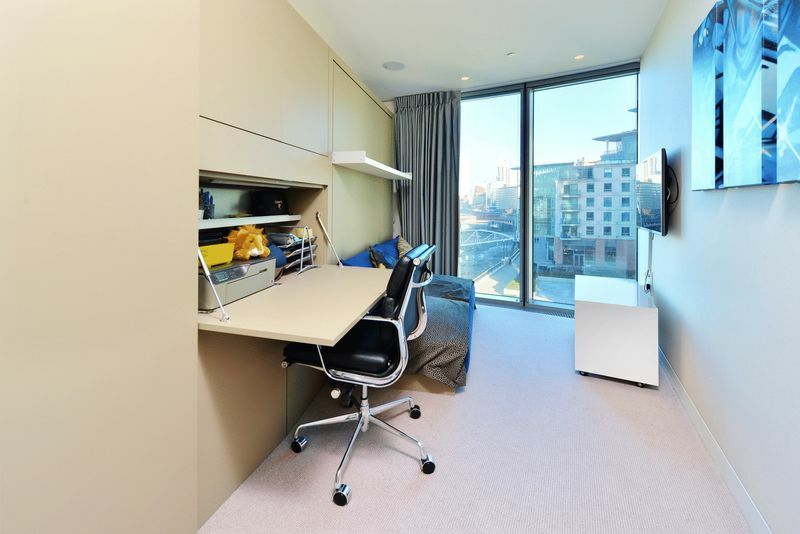 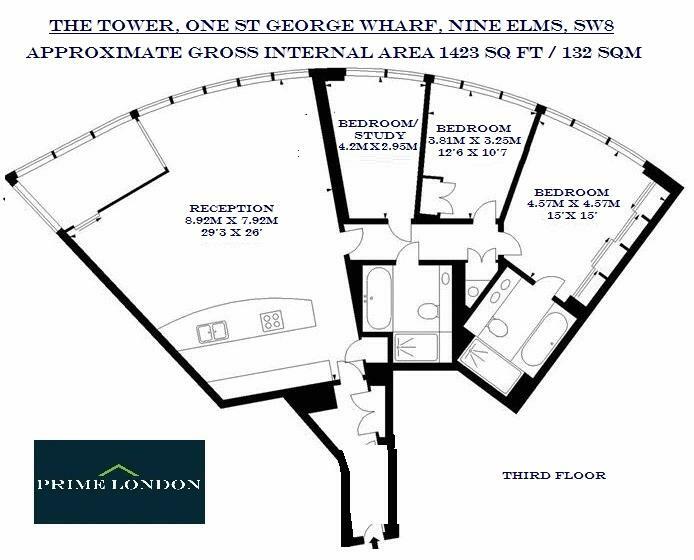 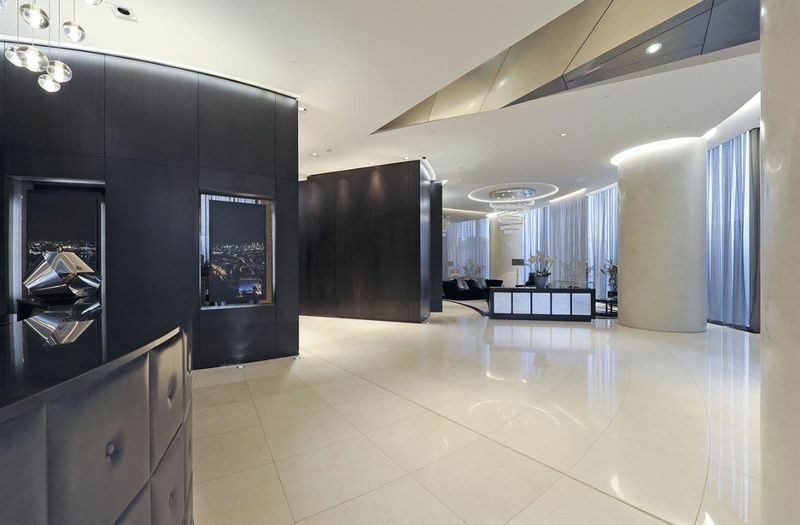 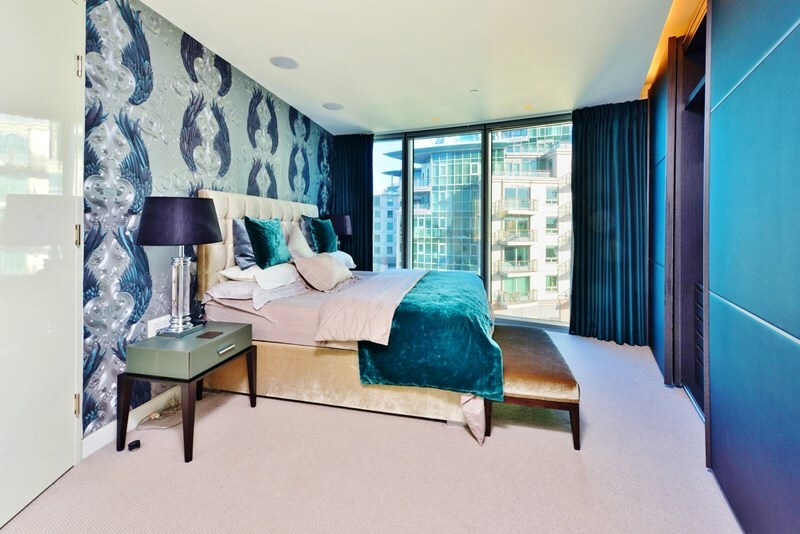 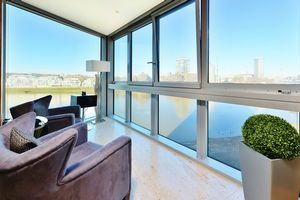 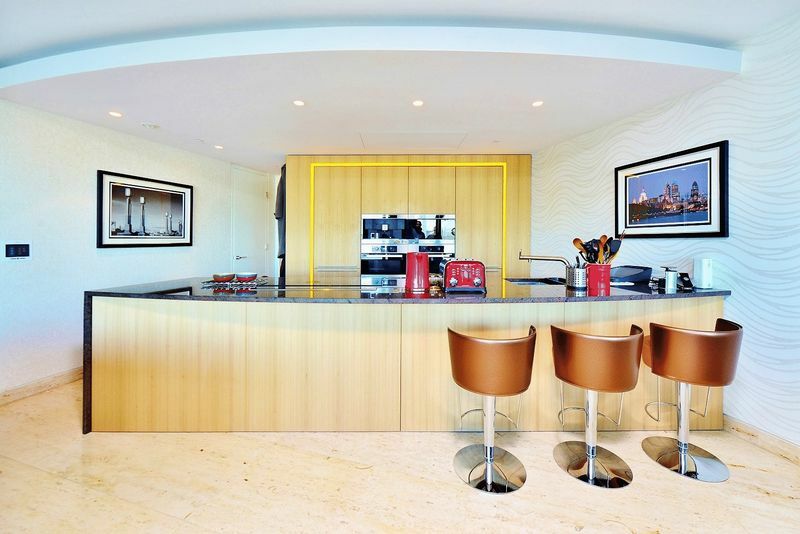 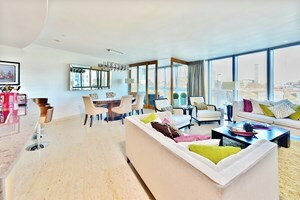 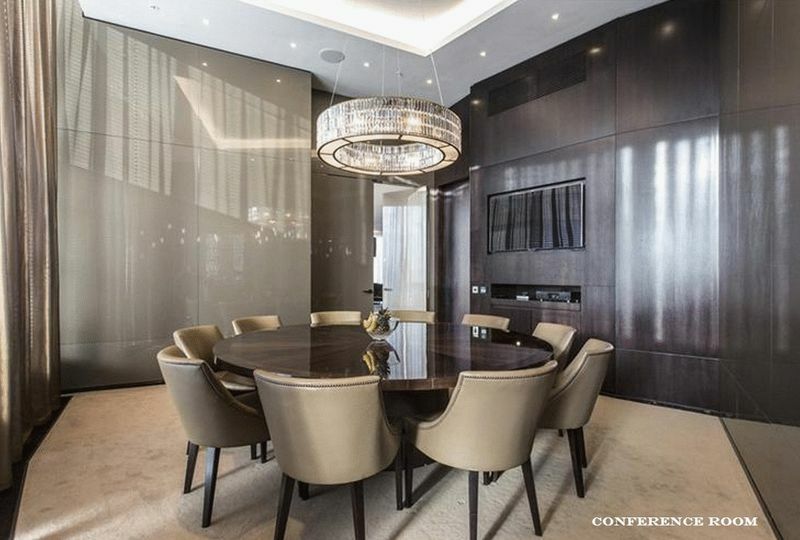 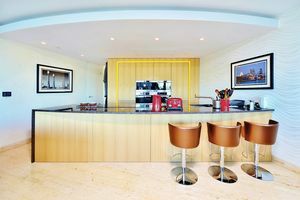 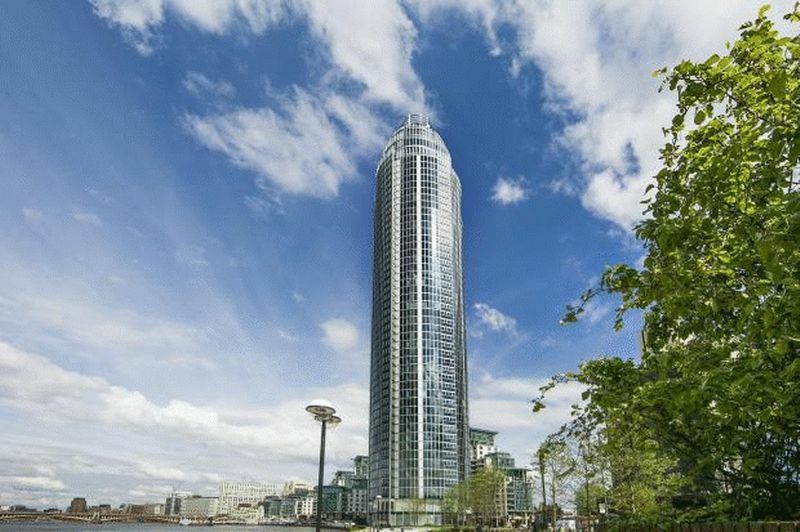 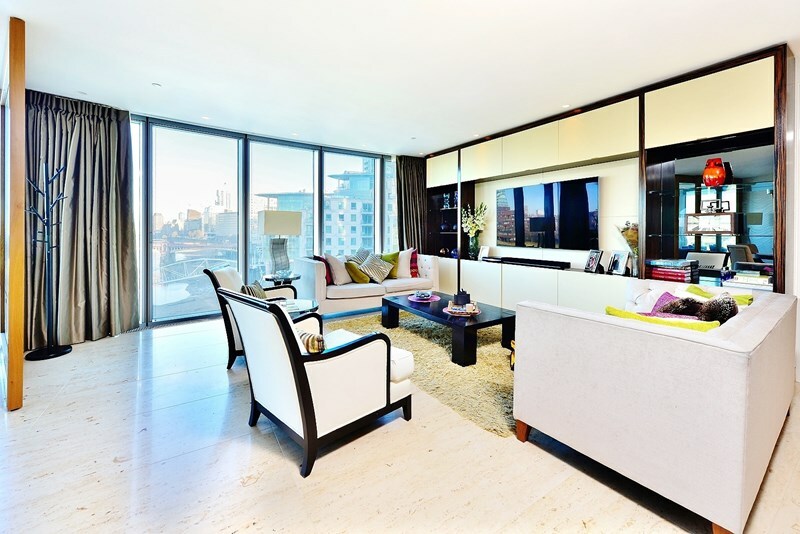 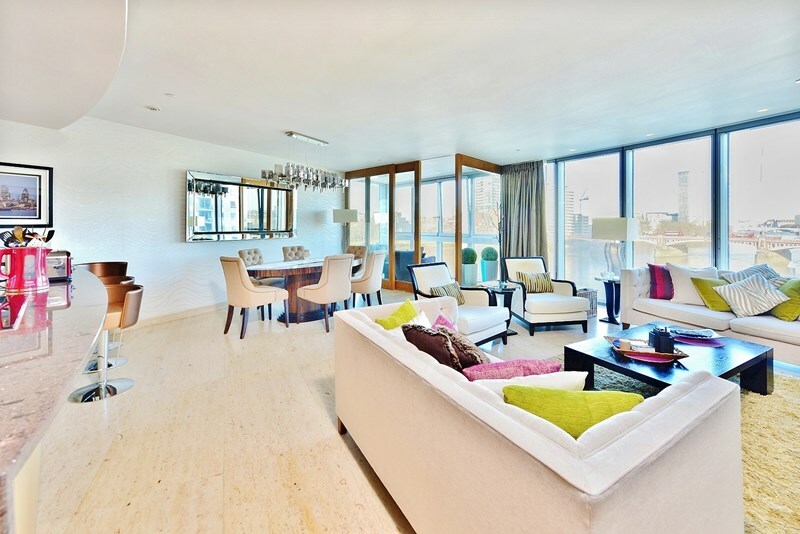 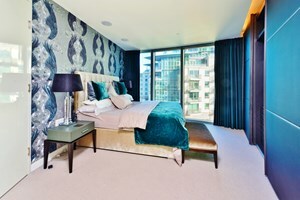 An exquisitely furnished and beautifully designed apartment, directly over the river and with views to Westminster, totalling 1,423 sq ft (132 sqm), available for chain free sale at The Tower, One St George Wharf through Prime London as sole agent. 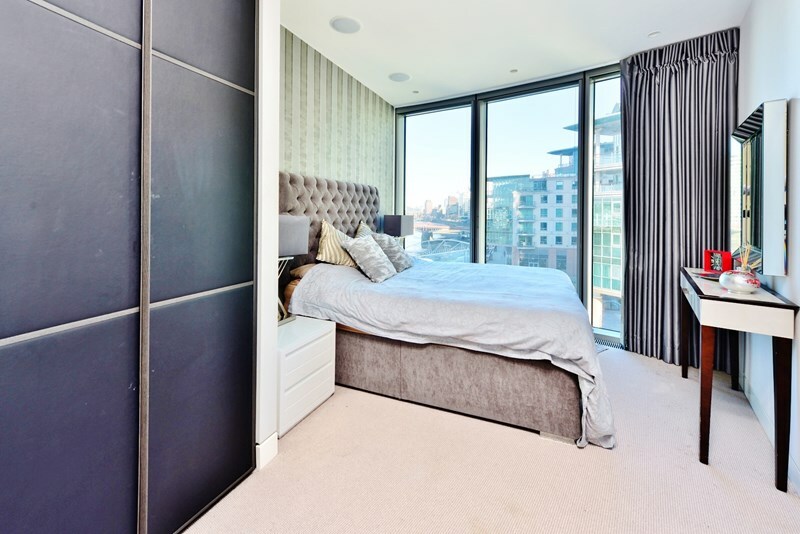 The apartment offers a fully integrated kitchen with Miele appliances, high specification bathrooms with exquisite tiling and fittings, comfort cooling, touch panel controls, recessed lighting and automated winter garden. 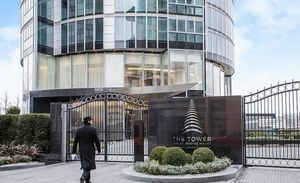 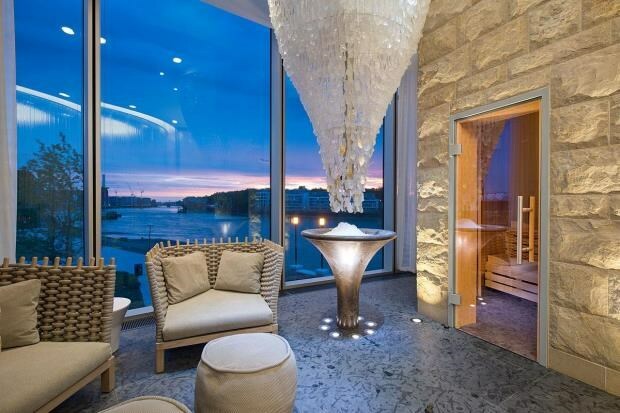 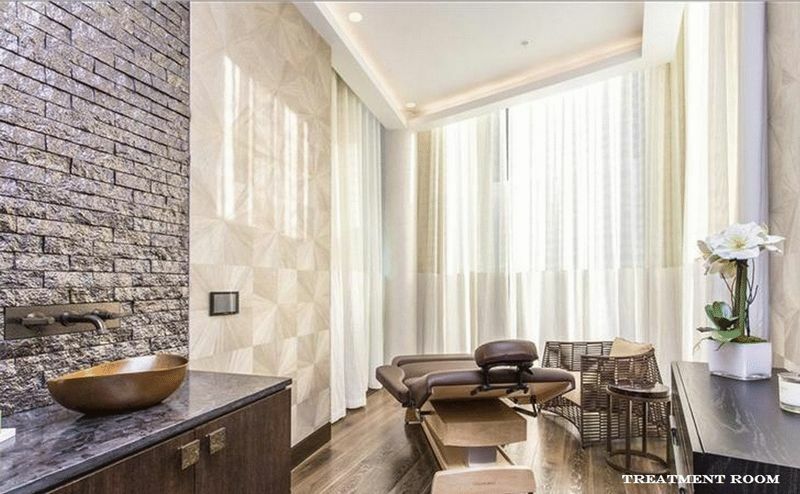 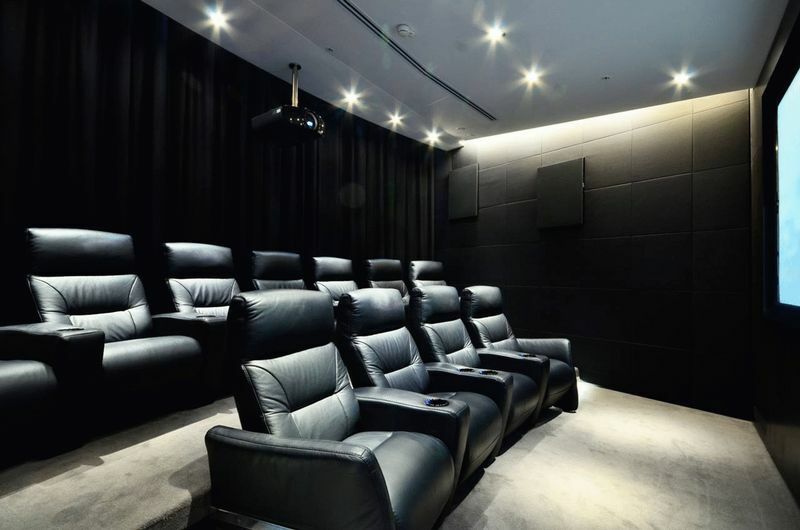 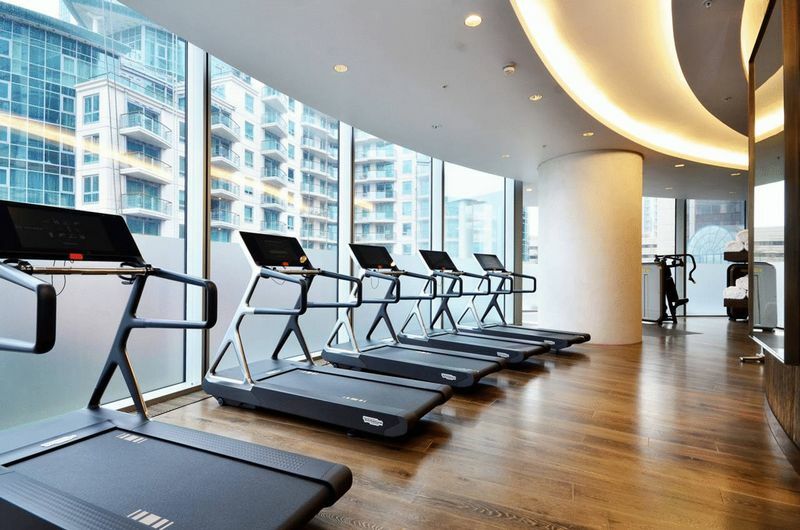 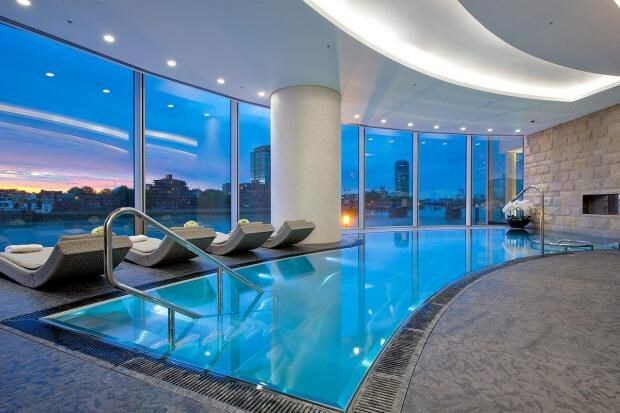 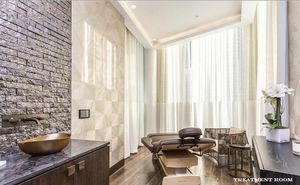 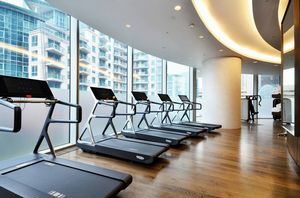 This exclusive development offers a valet parking service, and also a dedicated door service, 24 hour concierge, private health club with gym, infinity hydro pool, sauna and steam room, business facilities including a boardroom with conference facility, a business lounge and a private screening room and landscaped exterior gardens.